Категория продукта Sesame Processing Plant, мы специализированные производители из Китая, Sesame Processing Plant, Sesame Seed Processing Plant поставщики / фабрики, оптовые продажи высокого качества продукты Sesame Bar Processing Plant R & D и производство, мы имеем совершенный послепродажное обслуживание и техническую поддержку. Посмотрите вперед к вашему сотрудничеству! We are the specialized and top manufacturers in China and We offer full set Sesame Proessing Plant solution. Whole Seed Cleaning Plant is from Pre-cleaning, Fine cleaning, Destining, Gravityseparating, Beans polishing,Seed coating, Last seed weighing and packing. 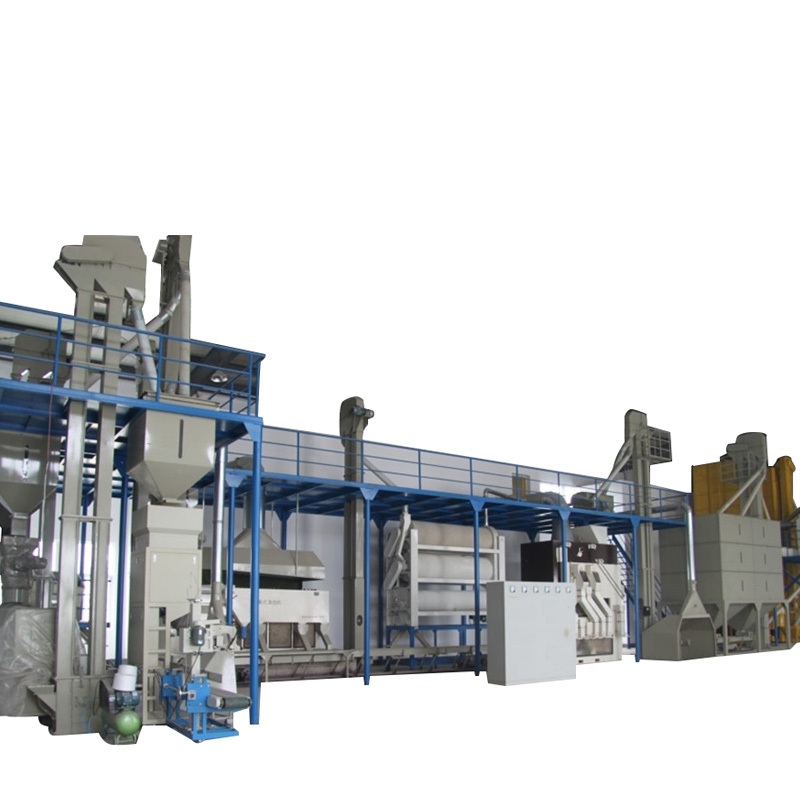 The Seed Cleaning & Processing Line is composed of several single machines. Base on different grain type and processing grain, we will suggest appropriate grain cleaning machines. These grain cleaning machines arecollocated freely. 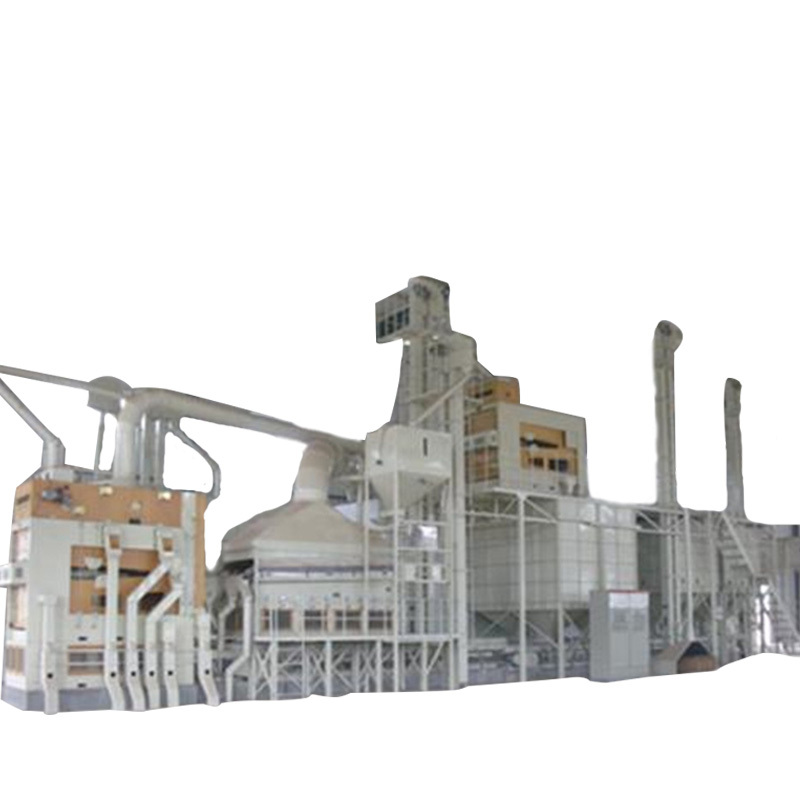 Between each machines, there are Bucket Elevator, Inclined Evator or other conveying equipment to link up. Easy to setup, machines easyto move and can be placed freely. Save labor, there are middleconveyors to transfer grain from one machine to another. Effective and low cost, singlemachines compose a seed processing line improve the working performance. Lowproduction cost makes it hot sale. Above flexibility andconvenience makes Seed Cleaning & Processing Plant makes it becoming hot sales item. 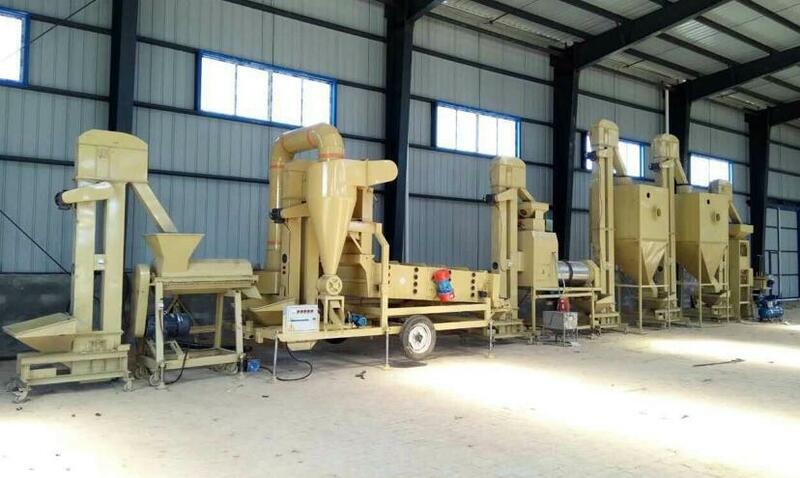 Seed Processing Line installationeffect and introduction. This Grain Cleaning & Processing Plant iscomposed of 5XZC-5DX Seed Cleaner & Grader, 5XZ-5 Gravity Separator, DTY Bucket Elevator, 5BYX-5 Seed Coating Machine, and HLD-50 Bagging Scale System. Working flow: The seeds arefed into 5XZC-5DX Seed Cleaner &grader first. Seed cleaner & grader will remove the dust, lightimpurity, oversize and undersize impurity before seed flow into 5XZ-5 gravity separator. During seeds cleaned by Gravity Separator, the seeds are separated by density difference. Thepartially eaten seeds, immature seeds, insect damaged seed, sick seeds, moldyseeds are separated from good healthy seeds. Then seeds go on being lifted by DTY Bucket Elevator, falling into the 5BYX-5 Seed Coating Machine. During the seed coating procedure, the chemical,fertilizer or other protective liquidity will be coated to seeds' surface andimprove seeds' germination rate. Finally seeds being transferred to Weighing Scale . Seeds will be weightedand packed to bags ready for sell.